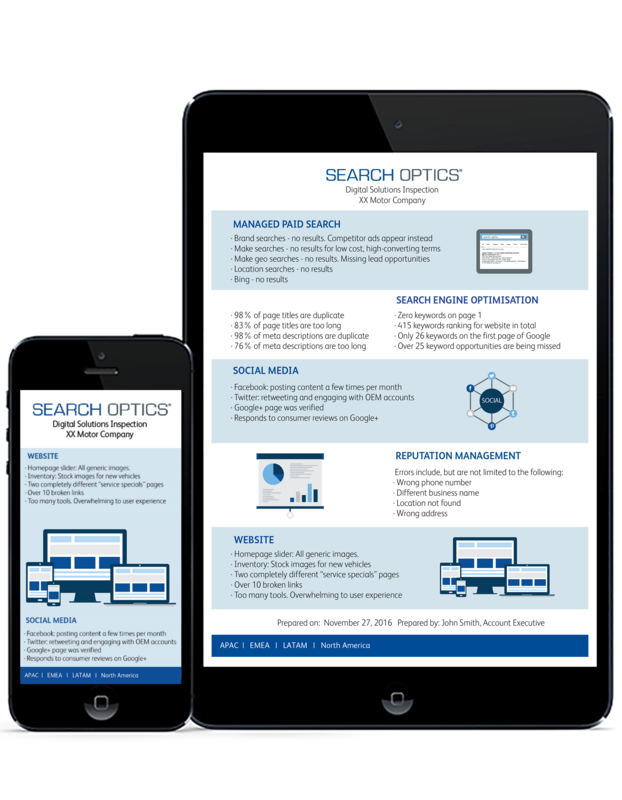 With more than 20 years of experience managing dealer campaigns worldwide, Search Optics has reviewed and revived digital marketing strategies for thousands of businesses. Our FREE Digital Solutions Inspection offers a third-party audit of your current efforts and provides detailed steps for improvement. Moreover, our findings and analysis are yours to keep, free of any commitment. Most Interested In Targeting strategies for Paid Search Search engine results to ensure your business is seen Social media presence to help your business grow Website performance across desktop and devices Choosing a Digital Media Partner Something else? Are there any pain points that you're experiencing with your current digital provider or strategy? Thank you for contacting Search Optics. We will be in touch with you shortly.